OKLAHOMA CITY (AP) – Outgoing Oklahoma Treasurer Ken Miller plans to resign from office early and take a position with energy giant OGE Energy Corp. The Oklahoma City-based company announced in a news release Thursday that Miller plans to join the company Jan. 2 as its vice president of regulatory and state government affairs. Miller’s office confirmed the treasurer plans to resign from his post about two weeks before his term officially ends. 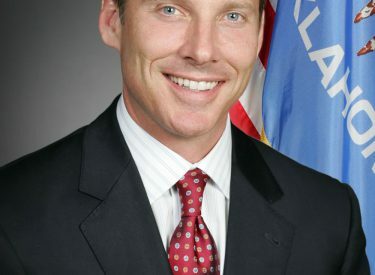 A former Republican House member from Edmond, Miller was elected treasurer in 2010 and re-elected in 2014. He couldn’t run again because of term limits. Another former GOP House member, Randy McDaniel, was elected treasurer in November. OGE Energy Corp. is the parent company of Oklahoma Gas & Electric, the state’s largest electric utility.